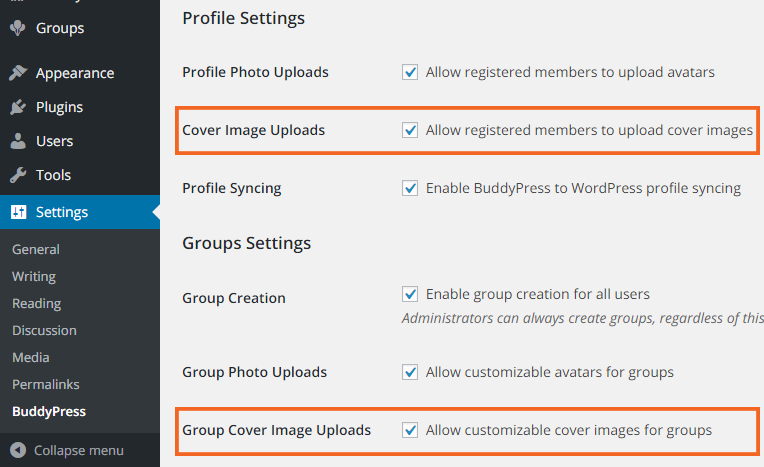 I can’t upload cover images to groups or profiles. All plugins and the theme are up to date. If anyone can help I would really appreciate it. If you have access to your CPanel go to PHP version try updating it to the latest or try a version that allows you to enable “php gd”. When you enable it check again.